3. 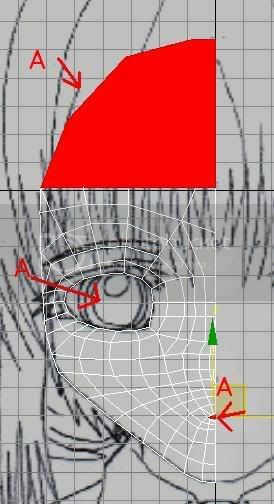 Draw faces lines using your skill of drawing! 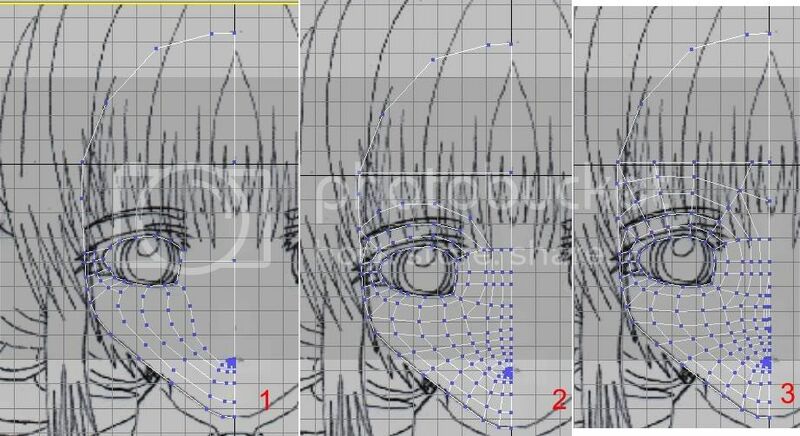 If you want to delete some lines just click “edge” at below vertex modifier (look into picture at first intro of step 5) and then click the line at your picture and “Remove” button at the menu. Do not click “Del” at keyboard!! It will also remove polygon and make hole to your face. If wanted to look your polygon, just press “F3”. The good way to draw the line are starting with eyes edge first, then mouth, and continue with other part of face. Sorry! No such easy way of doing this~ But patient is the key of success. Try not draw finish all the line instead leave the forehead not being drawn~ Leave it empty! …And here have I been, hand drawing and dragging every individual poly for months only to find out this way now. hey xenoaisam, karias aka ruby here 😀 been following ur tut, and i got stuck at this part, no idea how you did those eyes. Did you mass cut tool? or did you use something to create more lines? and see no.4 and 5, there is a way on how to delete selected poly!